“Great buildings that move the spirit have always been rare. The talented team at Halo Architects is nationally recognized for church architecture, commercial architecture, and school architecture. 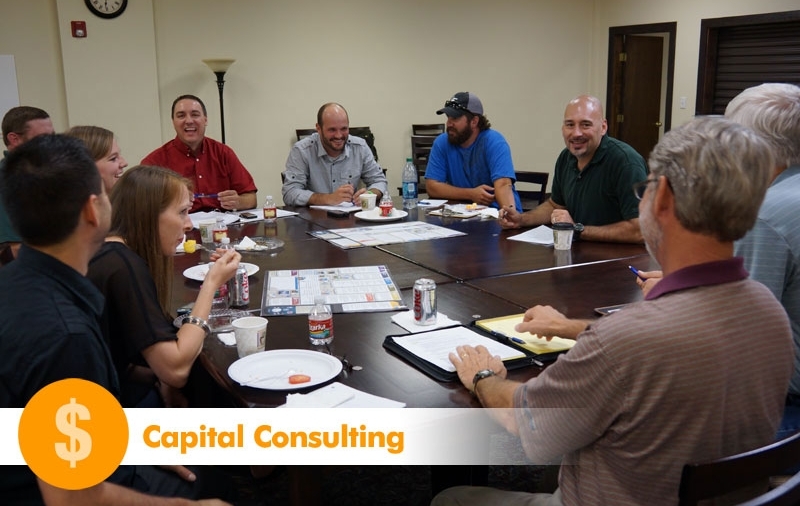 Whether you choose to start with architectural planning and 3D vision casting or with budgeting and finance talks, our team can guide you through the complicated process of planning, funding, and building your architecture design project. Feel free to send us a message or to give us call at 866.265.3241 to speak to one of our team members. Halo begins the lengthy building program process by first asking why the client feels they need to build. We learn more about the client as we ask more specific questions that pertain to our client’s unique needs. We understand that each of our clients have unique characteristics with different goals and expectations. With years of specialized services addressing those differences, Halo can introduce solutions that expand on the opportunities available to you and your project. 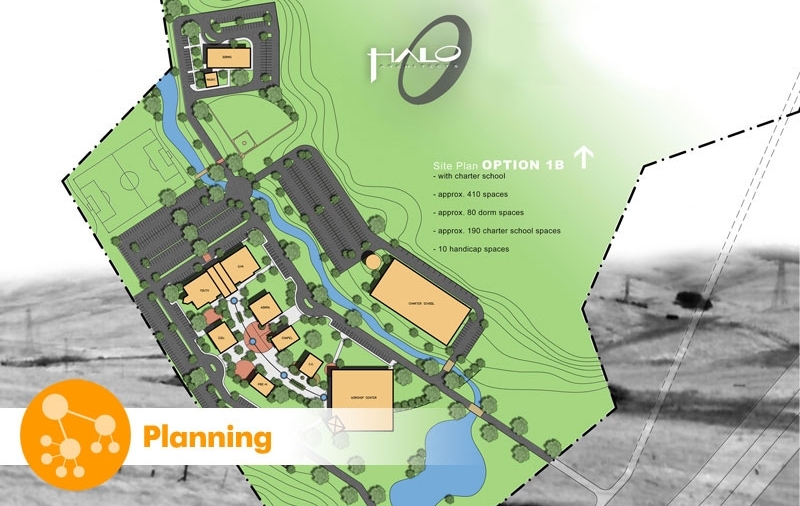 During the design phase, Halo’s designers take the information gathered in the planning phase and develop several concepts of the master site plan, building floor plans, spacial layouts, and room sizes, as well as what the exterior of the facility might look like. The Halo team designs to address the immediate needs of our clientele, but also designs with a focus to address future growth and expansion. Pictures are truly worth a 1000 words. Regardless of how articulate a designer’s vocabulary might be as we try to explain what a space is going to look like, there is no guarantee that you truly understand what we are describing. Halo’s 3D visualization process eliminates common design misunderstandings and eliminates many of the owner requested changes that end up costing both the owner and the architect money. 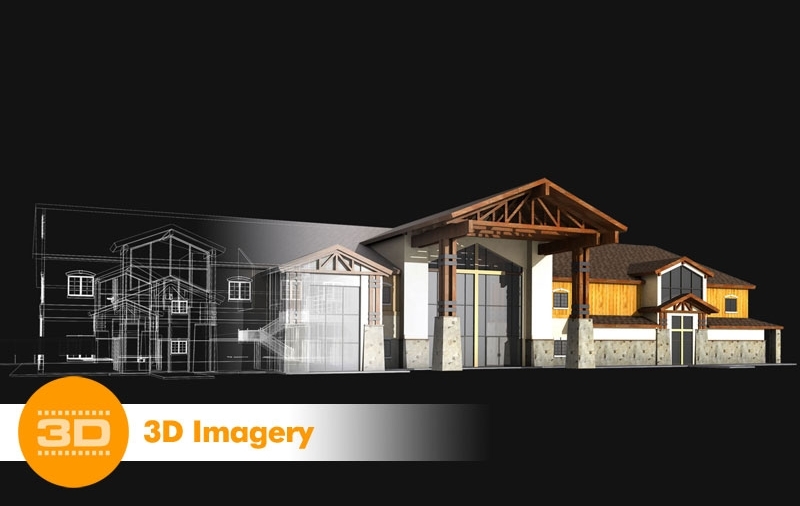 In addition, Halo 3D renderings and 3D animations are used to help our clients communicate their visions to stakeholders, investors, congregations, lenders, etc. Halo’s affiliated campaign coaching service develops a partnership with Church and Christian School leaders that guides our clients through the complex process of organizing and training volunteers to work in a capital campaign. Our coaches empower leaders with knowledge and skills that can be used in other arenas of ministry or leadership development. Halo emphasizes stewardship principles so Christian entities have a foundation for the ministry’s on-going capital development, planned giving, and strategic planning. 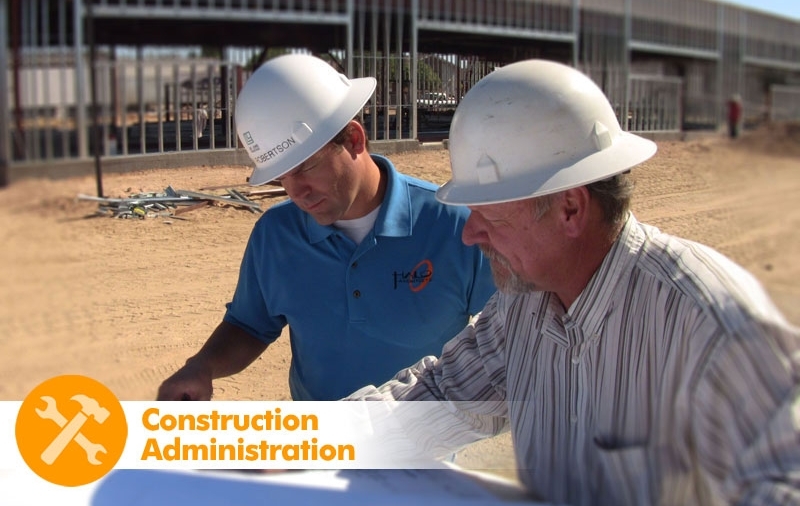 If a contractor has not already been selected during the Design Phase, one will be during Construction Administration. Halo helps the owner submit bid documents to contractors for competitive pricing and awarding of the construction contract. 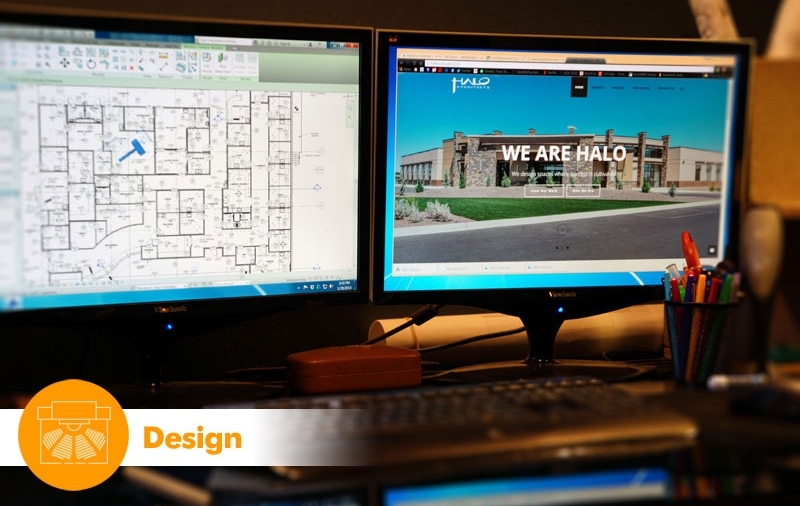 No two buildings are alike, so Halo also helps resolve any issues that come up during construction and in doing so, protect the interests of our clients. During the construction phase, Halo will be found on the construction site observing construction progress and reporting to our clients what we have observed and any action items that need to be addressed.